Dondorf's Microscopique Tarock, the one and only tarot produced by Dondorf, was first published in c.1870 as a lithographic print hand-coloured using stencils and cut with square corners. 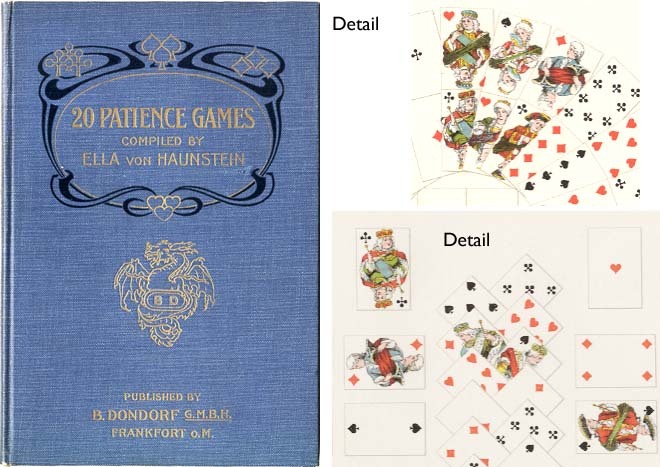 Later editions had rounded corners and (as shown here) were printed by chromolithography. 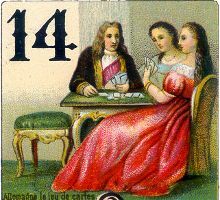 The trump cards were numbered, usually in Arabic numerals but in some versions Roman numerals are found. The scenes portrayed at each end of these trump cards are marvels of miniature graphic artwork and printing, at which this manufacturer excelled. After trump no. 1 (Juggler) the next four cards depict arts and crafts treasures from the four countries (Germany, Russia, France & England), which are again represented as typical occupations in the next four cards (6-9), then four noble women and men (10 to 13), four cards with scenes from society: family, hunting, gallantry (14 to 17), and finally four cards (18 to 21) with courtly scenes. 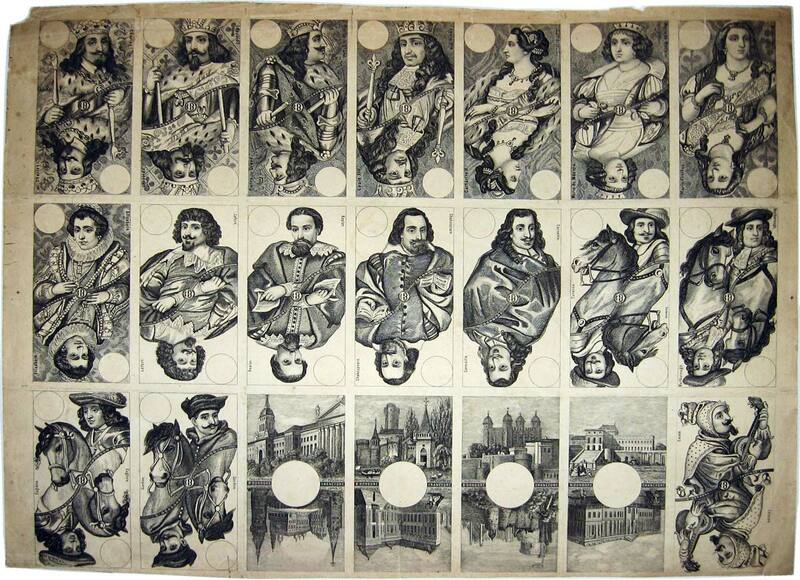 See also: The Four Aces • The Court Cards. 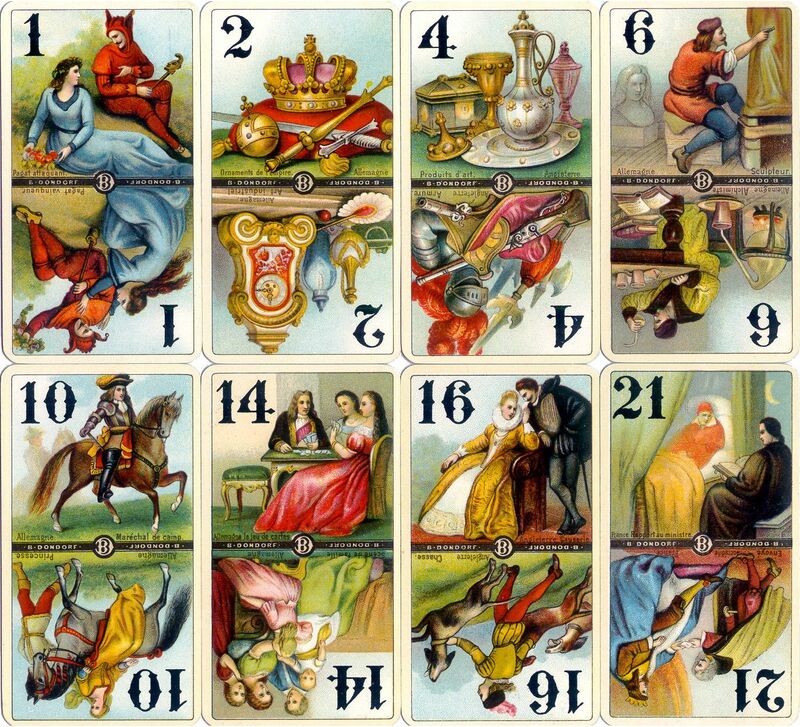 Above: eight trump cards from chromolithographic edition of Dondorf's “Microscopique Tarock“, rounded corners, c.1905-33. 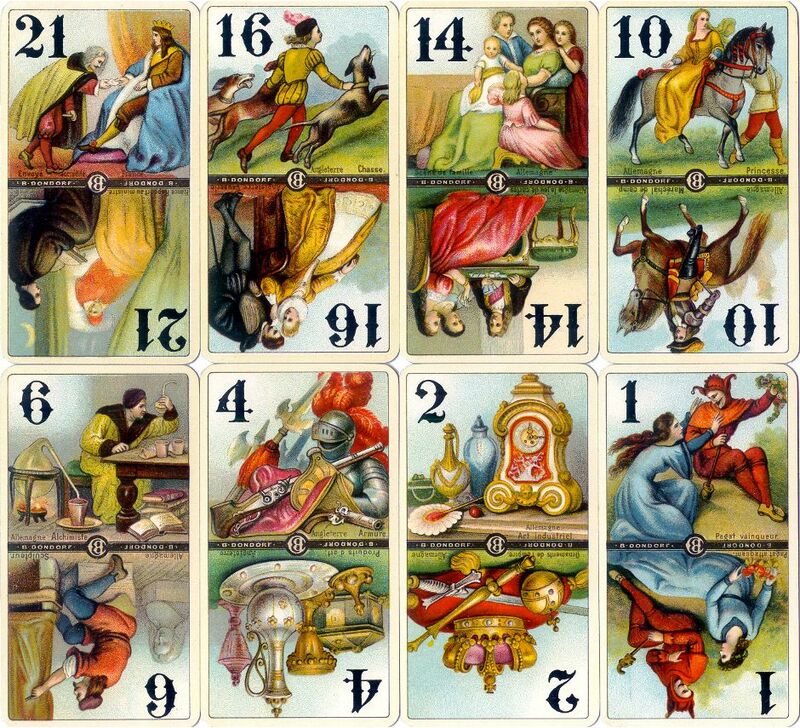 Below: the same cards reversed, showing the different scenes at each end. Images courtesy Barney Townshend. Above: After No. 1 (Juggler) four cards follow depicting arts and crafts treasures from the four countries, which are again invoked in the next four cards (6-9), then four noble women and men (10 to 13), four cards with scenes from society: family, hunting, gallantry (14 to 17), and four cards (18 to 21) with courtly scenes. 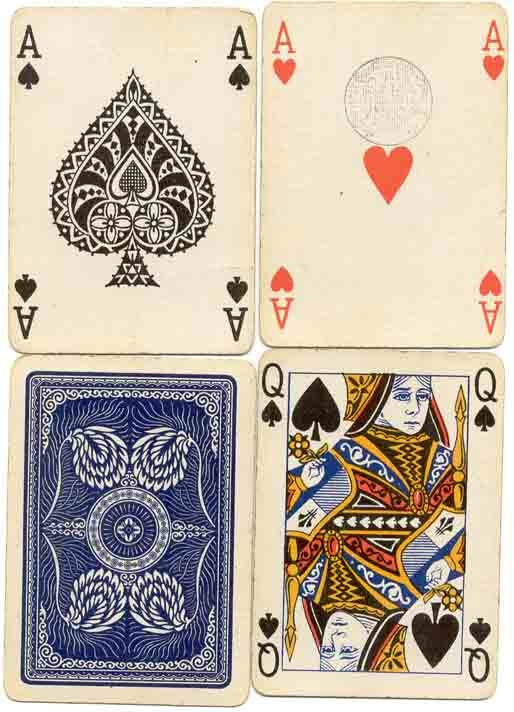 See also: The Four Aces • The Court Cards.